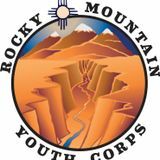 Rocky Mountain Youth Corps and Taos Alive team up to help prevent substance abuse in Taos County. Taos Alive Coaltion is a community based coalition whose main goal is to reduce substance abuse among Taos County youth through environmental strategies and coalition work. Taos Alive is funded by a Drug Free Communities Grant under the Office of National Drug Control Policy (DFC) and the Substance Abuse and Mental Health Services Agency (SAMHSA). Taos Alive received its first year of funding to provide support in Taos County in October of 2010.